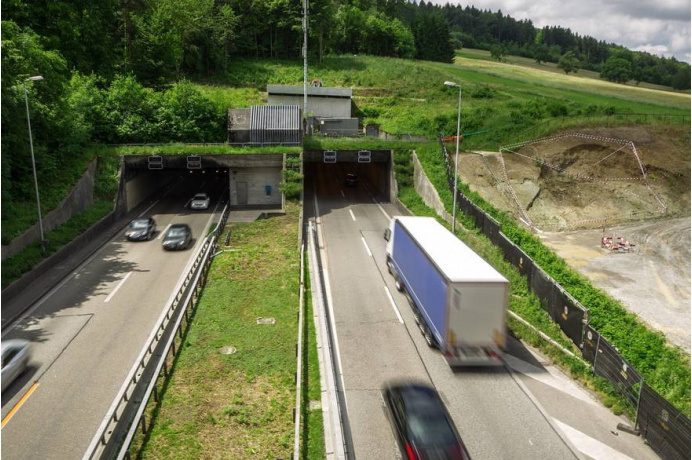 The Gubrist tunnel on Zürich’s northern bypass is one of Switzerland’s busiest motorways. In order to increase its capacity, a third tunnel tube is being built alongside the two existing tubes. The construction has a large impact on the tunnel’s surrounding and the existing road and tunnel infrastructure. 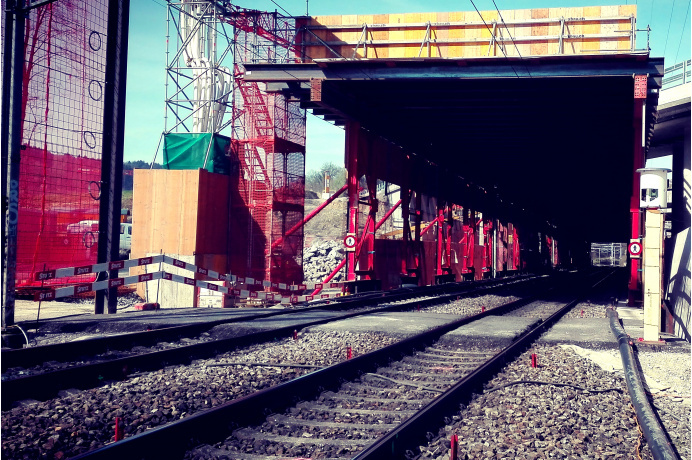 BSF Swissphoto’s monitoring mandate includes a comprehensive monitoring regime during construction of the tunnel tube and its auxiliary structures (cross passages, service bays and control center) as well as the excavation pits for the tunnel portals. The identified geological and geotechnical risks are constantly verified and monitored using 3D convergence measurements, 3D rail track monitoring, precise levelling, extensometers, inclinometers, piezometers and seismometers. Project management of an engineering consortium including subcontractors Pöyry Schweiz AG and Amberg Technologies AG. Joint planning and execution of the complex monitoring regime using automated and manual geodetic and geotechnical measurements. Consulting of the client with recommendations regarding the selection of optimal sensor configurations, manual or automated methods etc. Automated measurements of structure-borne sound, vibration, convergence trends in the existing tunnels, building displacements, rail track alignment and surface movements. Manual geodetic measurements of buildings, roads and total station convergence surveys inside the new tunnel tube. Automated alarm system set up to alert when pre-defined thresholds are exceeded.